Jim became interested in snowmobiling in the early 1980s and immediately became an avid supporter of the sport. He became involved in Local, County and then State organizations as a volunteer heading up numerous committees and duties. In 1984 Jim joined the Michigan Snowmobile Association (MSA) and has chaired or worked in membership, legislation, by-laws and public relation activities. He has been Vice President and President of MSA, instrumental in getting helmet law legislation, a special Snowmobile Advisory Committee, and tougher drinking laws established. Jim was named "Snowmobiler of the Year" in 1996 by MSA. On the national level, Jim was elected Vice President of the American Council of Snowmobile Associations in 2002 and President in 2004. During these terms Jim established many innovative programs to foster the sport, most notable is the "Zero Tolerance" program adopted by many states and provinces. 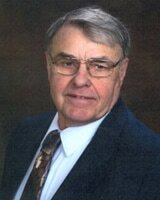 Jim literary skills have served him for over 20 years with numerous articles in state snowmobile publications. He currently chairs the "Friends of the Forest" program, has been appointed by the Governor to represent snowmobiling on the Michigan Snowmobile and Trails Advisory Council and remains very active in MSA. A silent, behind the scenes man, Russ Lemke's personal challenge is to always look for ways to make things better. He has a great natural talent when it comes to mechanics and has been successful in numerous innovative mechanical contributions to create winners whether it's snowmobiles, chain saws, pulling tractors or automobiles. This all started back in 1965 when Russ bought a Scorpion snowmobile without a motor because he felt the original motor was much too small. Mounting a 40hp 4-cylinder Mercury outboard, he competed and won in the open class. Soon after, Scorpion hired Russ to be their Sales/Service person, a position he continued while establishing a very successful career in snowmobile racing and engine performance building. A serious accident in 1969 ended his racing career but not his love and talent for developing high performance engines. A stint of truck driving followed but by 1989, Lemke started RLE, Inc. to concentrate on total sled performance innovations and designs. Local, state and national records were set over the next two decades with his engines powering the sleds of top drivers on grass, snow, water and ice. His talents were recognized by Bombardier (now BRP) who soon had Russ on their performance snowmobile development team. His contributions and innovations are numerous and they resulted in Ski-Doo's dominance in this market. Quiet and unassuming, Russ lets accolades go to the racers. He does not think inside or outside the box, he builds new boxes. Ever since 1976 this couple has been front and center for snowmobiling in Minnesota. They both epitomize the term "volunteer" with their tireless devotion and commitment to promoting safe and enjoyable snowmobiling on many levels of the sport. Highlights of these past 37 years include: Teaching snowmobile training for 34 years with both being named Snowmobile Safety Instructors of the Year in 2007 by the Minnesota DNR. Bob has served three terms as Minnesota United Snowmobilers Association (MnUSA) President, 12 years on the Board of Directors, 10 years as Region V President, Chair of MnUSA Raffle and Membership, Publications, Trail, Legislative, By-Laws and Merchandise Committees. Bob was awarded the 2011 Snowmobiler of the Year by MnUSA and the 2012 Snowmobiler of the Year by the American Council of Snowmobile Associations. Marie has been a Safety Instructor for 18 years, 25+ years as local club secretary, head of the ISC Charity and Awards Committee for MnUSA for 17 years and has served on numerous MnUSA committees during this time. Together they belong to their local club, two county associations, the MnUSA and the Association of Wisconsin Snowmobile Clubs. They have been the head organizers for club tours to West Yellowstone and Togwotee for the past 16 years. Their love for the sport and their desire to see it improved and promoted is endless. In addition to the above, they have devoted many hours of their time and talents on other committees and programs to further the sport. Their passion and dedication to snowmobiling have now earned them even more recognition as inductees into the International Snowmobile Hall of Fame. Optimism was a keyword in the life of Lowell. It helped him survive 50 bomber combat missions in WWII, during which he earned the Distinguished Flying Cross, served him through leadership roles in several companies and was passed on to his children who continue in his footsteps. Lowell's involvement in the snowmobile industry began in 1965 when he mortgaged all his assets and bought Arctic Enterprises in Thief River Falls, MN. The company had been struggling to keep up with the booming demand for its snowmobiles and needed a financially oriented business man to direct it. Lowell was just that person. From a few hundred snowmobiles sold in 1965 to just over 112,00 by 1971, Swenson's optimistic leadership was the key in making Arctic Cat a leader in the industry. A new manufacturing plant was added, the company went public, sales continued to grow and new products added to the line. Throughout all this growth, Swenson worked to create a positive and upbeat image of the sport. 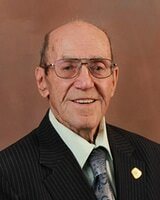 He was on the board of ISIA, supported many local charities and civic organizations and always operated with high integrity, honesty and super optimism. In 1978, Lowell sold his interest in Arctic Cat to a private investor who liquidated the company three years later due to the bad economy and lack of snow years. A year later, Arctco, Inc. was started and Swenson returned to take an active role in rebuilding the company. He served as a director and was instrumental in raising the much needed capitol to get the new company started. He served in this capacity until 1999. Throughout all this involvement with Arctic Cat snowmobiles, Swenson was involved in numerous civic organizations and foundations. His love of flying got him and his two sons involved in the airline industry when he bought Mesaba Aviation in Grand Rapids, Minnesota which became a growing regional airline and was later sold to Delta Airlines. Lowell Swenson was intuitive enough to see an opportunity, worked hard to carry out his dreams in a positive thinking and upbeat attitude. 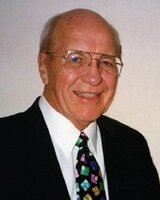 He was always ready to give credit to his fellow employees, friends and family for his successes. Jerry took a 1969 Johnson in trade for his carpenter services and has been an avid snowmobiler ever since. He has started clubs, been a leader in county and state associations, trail developer, officer and director in numerous other snowmobile organizations and a co-founder of the Antique Snowmobile Club of America (ASCOA), his true passion. Jerry served as a Director of the Association of Wisconsin Snowmobile Clubs (AWSC) for 19 years representing his county. 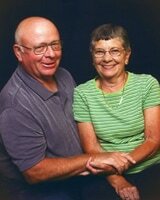 He spent 24 years producing the county's snowmobile trail map, ran the Badger State Games Torch Run for MS, was instrumental in organizing the ISC Convention in Wisconsin in 1992, inducted into the Iron Dog Brigade in 1992 and has spent 20+ years filming and video taping the AWSC conventions and workshops. Jerry and his wife, Bev, have volunteered their guitar and accordion to provide musical interludes at many snowmobile gatherings. He took care of the job of running and maintaining the club's groomer for eight years. Perhaps Jerry's biggest love is preserving the heritage of the sport through the preservation of the older snowmobiles that started the sport. 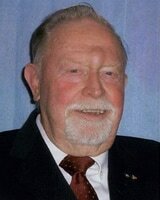 He holds membership #4 in the Antique Snowmobile Club of America which he helped found in 1976. He can be seen at snow shows across the Snowbelt showing and displaying the old sleds, many of which he has restored to perfection. He served as Vice President of the Club for 11 years. Honors received during these years include Snowmobiler of the Year in 2002 for the AWSC, Jake Woecker Distinguished Service Award from the ASCOA in 1999 and the President's Cup from the AWSC in 2013. Jerry has taught over 1,000 students the safe operation of a snowmobile over a 40 year span and was recently honored for that achievement by the Wisconsin DNR. A very accomplished home wine maker, Jerry contributes cases of his award winning creations to many snowmobile raffles and charities. The Club was incorporated in 1984 and joined the Ontario Federation of Snowmobile Clubs (OFSC) in 1988. A large part of the Gravenhurst Snowcrest Riders success is due to strong volunteer support and dedication to snowmobiling. In 2012, the Club raised over $20,000 with the P.E.T. Family Ride of Hope. Other fundraising events include the Easter Seals Snowarama along with an annual Pancake Breakfast and Poker Run. With almost 250km of snowmobile trails, Snowcrest Riders Snowmobile Club is the largest snowmobile club in Ontario's District 7. The Club prides itself on putting people first and has earned the respect and loyalty of its volunteers, its members and the snowmobiling community. 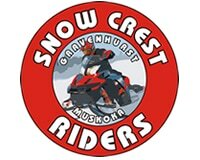 For more information on Gravenhurst Snowcrest Riders and its events, visit www.snowcrestriders.com.